I had my first experience of Korean Tea ceremony when I was in Level 1 in Korean language and culture course in Seoul National University.Well,although tea is an important part of Indian society,it is not so thorough and unique like other east Asian countries and Korea in particular.I feel that such ceremony makes one learn more about the disciplines and manners in day to day life.The movements that accompanies it awesome and sometimes seems one is doing martial arts over a cup of tea.The venue for thea ceremony we did was in Seoul National University campus itself. The Korean tea ceremony is called 다례. The purpose of the ceremony is to create a relaxing atmosphere for conversing and enjoying tea. 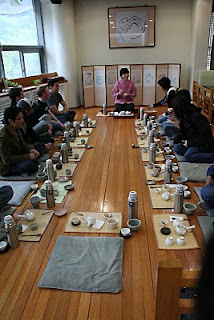 A normal tea ceremony includes a host and guests. The host heats the tea, and while the tea is heating, small talk is made. The Korean tea ceremony has been greatly influenced by Buddhism, especially in terms of meditation. Tea ceremonies are still in practice today, especially among college clubs. Depending on the season, different types of earthenware cups are used. In the winter, the cups are typically taller so as to prevent the tea from getting cold faster. Traditionally, tea leaves were rare and only available to the upper classes. 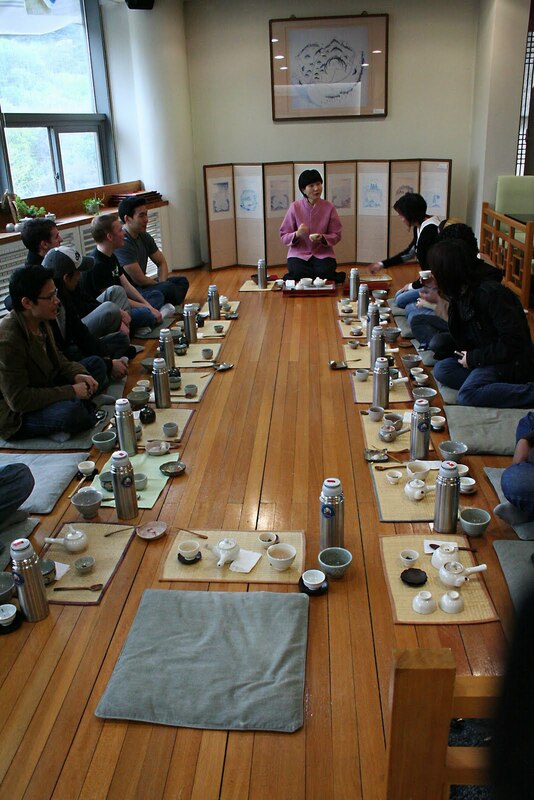 With the ready availability of tea leaves, more people are now able to enjoy a Korean tea ceremony. Green tea (녹차) is the preferred choice, but black tea (홍차) is also served as well. Korean teas are categorized by taste, smell, and consistency. Teas are served in coordination with the season, the occasion, and the region. Usually natural well water is used. However, in Jeju island, the tea may have a certain saltiness, for the region is surrounded by ocean water. The qualties that the tea should exude are the Buddhist principles of tranquility, respectfulness, simplicity and purity. The man most responsible for starting the craze for tea ceremony in Korea is a monk by the name of 효당. He is officially the foremost famous Korean tea master. He devoted his life to furthering the awareness of tea and tea ceremonies. The first Korean book on tea was published by him, and he founded the first tea association in Korea. Thanks to him, Korean tea ceremonies are still alive and kicking!Just experience it once you won't regret.